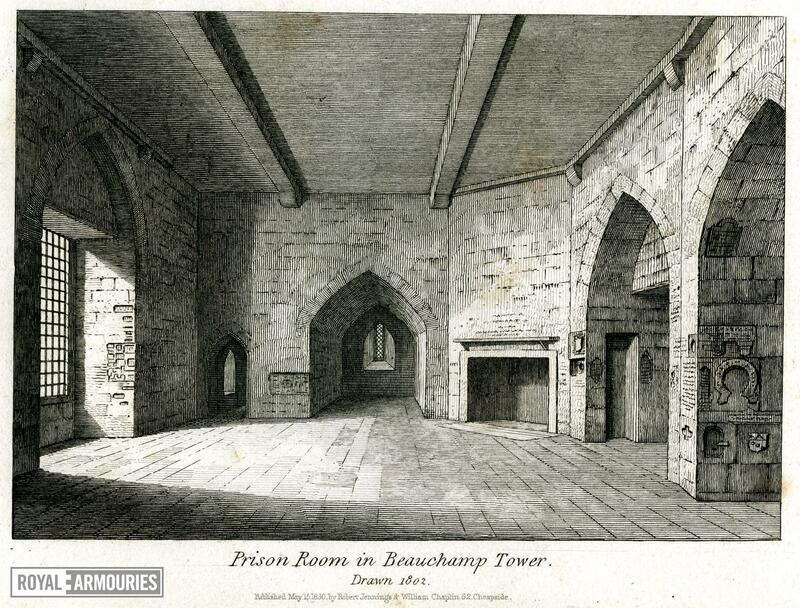 A print showing an empty room in the Beauchamp Tower at the Tower of London, with some of the inscriptions identifiable. Published May 15 1830 by Robert Jennings & William Chaplin, 62 Cheapside. Plate 7 of the 2nd (8vo.) 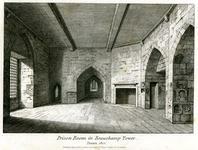 edition of Bayley 'The History and Antiquities of the Tower of London', (London, 1830).